Our Yom HaShoah committee has been hard at work preparing a number of opportunities to remember and reflect. Please see below for the list of events from 2015. Jewish Feminism Week: Yom Hashoa Lunch with Aliza Luft (April 15 @ 1:00 pm – 2:30 pm, Room 4C) JWOC invites you to a pre-Yom HaShoah (Holocaust Remembrance Day) lunch and discussion with Aliza Luft, PhD candidate in the department of Sociology at the University of Wisconsin-Madison. She will discuss the experiences of women in Ravensbruck, the only major Nazi concentration camp for women, located in northern Germany, and relate the discussion to the story of her aunt, a survivor of Ravensbruck. Ms. Luft’s research focuses on issues relating to state violence, political violence, and persecution; in particular, she studies behavioral variation during genocides. RSVP to Gabrielle Lubitz or Gabi Hoberman. Yom Hashoah Ceremony and Speaker (April 15 @ 6:15 pm – 7:30 pm, Rennert Hall) Join us for a ceremony and speaker commemorating Yom Hashoah. Holocaust survivor Hannelore Marx will share her story and answer audience questions as well. More information about Hannelore can be found on her website. Yom Hashoah Multimedia Reflection Project (April 15 @ 7:30 pm – 8:30 pm, Room 4B and April 16 @ 12:00 pm – 2:30 pm, Room 4A) The goal of this program is to create a space for students to address Yom Hashoah-realted questions through alternative and non-traditional means. Students will have various multimedia tools at their disposal to contribute a personalized response to a larger communal project. Discussion about Faith after the Holocaust at WNLP (April 15 @ 9:00 pm – 10:00 pm, 5th floor then move to 6th floor) Join us for an interactive program and conversation about faith after the Holocaust. We will look at how Holocaust survivors have wrestled with theodicy and consider our own beliefs as well. 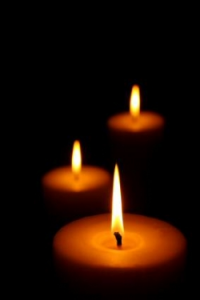 Yom Hashoah Name Reading (April 15 @ 9:00 pm – April 16 9:00 pm, College Walk) Stop by College Walk as we remember the victims of the Holocaust during this 24-hour name reading. If you’re interested in reading names, please click here. Yom Hashoah Book Discussion over Lunch (April 16th @ 1pm, 5th floor) Joshua Shenkar will lead a discussion about his grandmother’s book, Snow Flowers: Hungarian Women in an Airplane Factory, Markleeberg Germany, by Zahava Stessel. The discussion will focus on the author’s experience in a German airplane factory; In which Jewish prisoners interacted with dissidents from France and other European nations, along with regular German factory employees. These programs are made possible through the support of Columbia/Barnard Hillel’s Holocaust Education Fund.